Chiropractors provide an important service for millions of patients. For many, they are the last hope to avoid costly and painful surgery. Like all healthcare professionals, they have their share of bad apples. Unfortunately, Medicare’s Office of Inspector General says that Medicare fraud involving chiropractors is on the rise. This post examines typical Medicare and Medicaid fraud schemes involving chiropractors and how insiders can stop this fraud (and possibly earn a large cash award for doing so). The Centers for Medicare & Medicaid Services (CMS) identified chiropractic services as having the highest improper payment rates among Medicare Part B services from 2010 to 2015. The improper payment rate for chiropractic services ranged from 43.9 percent to 54.1 percent. The estimated overpayments per year ranged from $257 million to $304 million. In the most recent six years, Medicare has paid out $2,900,000,000.00 for chiropractic services. If Inspector General’s fears are correct, $1.5 billion of those claims are fraudulent. Perhaps more troubling, Medicare knew that chiropractic services were subject to widespread abuse since 2005 but their efforts have done little to stop the problem. Chiropractic is a form of alternative medicine. Chiropractors focus on the diagnosis and treatment of disorders of the skeletal system, especially the spine. They believe that one’s health is directly affected by the relationship between the musculoskeletal system (primarily the spine but also the muscles, ligaments and joints) and the nerves that supply them. The most common treatment that chiropractors perform is spinal manipulation. This procedure tries to restore joint mobility by manually applying a controlled force into joints that have become restricted in their movement as a result of tissue injury. Medicare covers chiropractic services for active/corrective treatment for subluxation of the spine (when spinal bones are misaligned) by means of spinal manipulation. It does not cover chiropractic maintenance therapy, however. Nor does it cover massage therapy or acupuncture. If allowed services such as spinal manipulation are medically necessary to treat an illness or injury, they are covered, Treatments that are preventative, necessary to maintain good health or “prolong and enhance the quality of life or to maintain or prevent deterioration of a chronic condition” are not covered. It is those last two categories that are often the source of false claims. CMS rules state “When further clinical improvement cannot reasonably be expected from continuous ongoing care, and the chiropractic treatment becomes supportive rather than corrective in nature, the treatment is then considered maintenance therapy.” Maintenance treatments are not covered by Medicare. The Medicare Access and CHIP Reauthorization Act of 2015 contains new oversight provisions for chiropractic services. The law requires CMS to implement a prior-authorization process for certain chiropractic services. Prior authorization process is now necessary if the treatment will include more than 12 visits. The law also requires CMS to focus on chiropractors who have been identified as having “aberrant billing patterns” or have a history of high claims rejections. The effective date was January 2017. Why did Congress take action? CMS says that between 43.9 and 54.1 of chiropractic services were fraudulent. The rate for all other medical services in the Medicare Part B program is estimated to be between 10 and 13%. 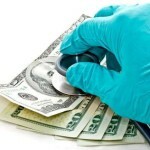 Perhaps not all of these improperly billed services are indicative of intentional fraud but billing for services that are medically unnecessary, billing for maintenance therapy, billing with improper codes or not maintaining proper documentation to determine medical necessity all constitute Medicare fraud. The most recent investigation is nothing new. CMS has been worried about Medicare fraud and chiropractic services for years. The earliest investigation we found dates back to 2001. That review looked at $457 million in payments for chiropractic services. Sampling revealed that $285 million was improper. That is a staggering 62% improper billing rate. The biggest offender in that investigation? Medically unnecessary services – CMS found that 74% of the claims rejected as medically unnecessary were for maintenance therapy. A 2006 investigation had similar results. There auditors focused on patients who had more than 12 visits to the chiropractor. That audit found $178 million in improper payments and 88% of medically unnecessary services for maintenance therapy. Since then, CMS looked at several individual chiropractors and found $2.9 million in improper payments. These chiropractors had a staggering improper payment percentage of between 77% and 97%! All these reviews and investigations have come with plenty of recommendations. Unfortunately, nothing has worked. Requirement to include the initial treatment date on claims (allows CMS to monitor the number of treatments received for a specific injury or illness). Medical records reviews to determine whether chiropractic services met Medicare requirements. Most recently, Congress imposed prior – authorization requirements as part of the Medicare Access and CHIP Reauthorization Act of 2015. Medicare fraud by chiropractors remains a big problem. Since 2005, CMS and the Department of Justice have investigated 28 chiropractors. 11 of those chiropractors wound up in prison. Obviously there are simply not enough resources to prosecute every chiropractor engaged in Medicare fraud. Civil audits by CMS are often the preferred method of stopping bad doctors, although they don’t necessarily punish the wrongdoers. Still, since 2005 542 chiropractors have either been barred or suspended from the Medicare program. That means they can only accept cash patients or private insurance. What is solution to this problem? You! Whistleblowers. Under federal law and the law of most states, people with inside information about Medicare fraud (Medicaid fraud when state monies are involved) are eligible for cash whistleblower awards of between 15% and 30% of what the government collects from wrongdoers. Medicare auditors can’t even begin to scratch the surface of the problem. Seventeen years of investigations and several efforts to stop the problem and it isn’t getting any better. In fact, it may be getting worse! A random audit in August 2016 by the Inspector General of a Michigan chiropractic clinic found that 92% of their services were improperly billed! In one case, a 72-year-old man had 167 office visits in just a few weeks of time and with no improvement. Doctors, administrators and billing specialists have the best information. That’s why Congress passed the False Claims Act to help provide incentives to those folks willing to step forward. Each year thousands of people call the Medicare toll free fraud line. Calling that number doesn’t earn you an award, however. Worse, special agents and auditors working for the CMS can only audit a fraction of 1% of healthcare providers each year. The best way to put an end to dangerous and corrupt healthcare practices is by filing a False Claims Act (whistleblower award) complaint. Federal law allows these cases to be prosecuted privately. In our experience, they also go to the top of the pile. If you want to stop healthcare fraud, let us help you file a whistleblower complaint. We will do the work. Still not convinced? State and federal whistleblower laws have strong anti-retaliation provisions that can even pay for your employment lawyer and pay double damages. billing for services not covered by Medicare (e.g., massage and acupuncture).
) or by phone 202-800-9791. All inquiries protected by the attorney – client privilege and kept strictly confidential. In January 2018, the Justice Department announced that it had fined Matthew Anderson D.C. of Lenoir City, Tennessee $1.45 million for Medicare fraud. The case was initiated by a whistleblower under the False Claims Act. Dr. Anderson was known as a flamboyant character. Unlike so-called “straight” chiropractors who confine their treatments to traditional spinal manipulation therapy, Anderson operated four pain management clinics in central Tennessee. The feds say they were really pill mills. Conspiring and participating in a kickback scheme with a laboratory testing company in the form of impermissible shared labor, leasing space from Defendants that the company allows Defendants to use rent free, and other practices in violation of state and federal law. TennCare is Tennessee’s state funded Medicaid program. In most instances, the victims in Medicare fraud involving chiropractors are taxpayers. We are the ones paying the hundreds of millions of dollars in fraudulent claims each year. As seen here, some chiropractors can prescribe drugs or affiliate with someone who can. When any doctor prescribes drugs that are medically unnecessary, a whole new level of danger arises. When those drugs are highly addictive opioids, the danger becomes extreme. “More Americans are dying because of drugs today than ever before—a trend that is being driven by opioids. If we’re going to end this unprecedented drug crisis, which is claiming the lives of 64,000 Americans each year, doctors must stop overprescribing opioids and law enforcement must aggressively pursue those medical professionals who act in their own financial interests, at the expense of their patients’ best interests. Today’s settlement is a positive step that will help save lives, as well as protect taxpayers’ money, in Tennessee and across the United States. Dr. Anderson was allowed to settle without any admission of wrongdoing. His clinics have been shuttered. Ms. Norris, the whistleblower who first filed the claim, will receive $246,500 for stepping forward and blowing the whistle. In another case, Medicare’s Inspector General and the Justice Department criminally prosecuted a different chiropractor for Medicare fraud. When auditors went to audit the doctor’s books, he called police and claimed the very files that auditors were seeking had been taken in a robbery. Obviously, authorities didn’t believe the robbery claims and began a criminal investigation. That lead to interviews of many patients. Several patients claimed they had received massages at the office, a service not covered by Medicare. Ultimately, the chiropractor was convicted both for the Medicare fraud and for filing a false police report. He was sentenced to 63 months in prison, lost his Medicare privileges and ordered to repay $1 million.